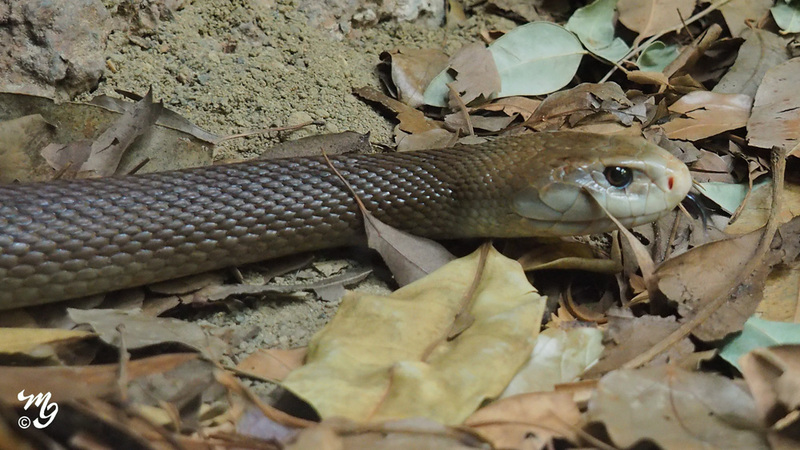 The Coastal Taipan is Australia's most dangerous land snake. Its venom is the third most deadly of all land snakes. Many people have died after being bitten by it. Australia seems to have more than its share of small but dangerous critters! I was going to ask about the glass before I found the caption under the last image. What is Australia's annual death toll from venomous reptiles, amphibians, insects, and spiders? A few mammals and birds, e.g., the duckbill platypus, also have such armament, but those don't usually sneak up on people unawares so I would expect a comparatively few fatalities from those animals. Not really as bad as rumor has it, scoundrel. "Over the past 12 years an average 3,500 people were admitted to hospital every year for a venom-related injury. This can be loosely averaged 0.01% of the Australian population per year, or roughly one in 10,000 Australians. Allergy or anaphylaxis from insect stings such as bees or wasps were responsible for about one-third (33%) of hospital admissions, followed by spider bites (30%) and snake bites (15%)." Oz is a probably among the safest places on earth to be. Since private gun ownership was banned (1996), relatively few people get shot. Great shots Mark. Glad there was glass between you and this critter. Great shots Mark. I was about to ask what sort of long lens you used until I saw the caption after the last shot. Wolf, gautam, thanks for dropping in. You may be interested to know that we have two species of taipans in Oz. 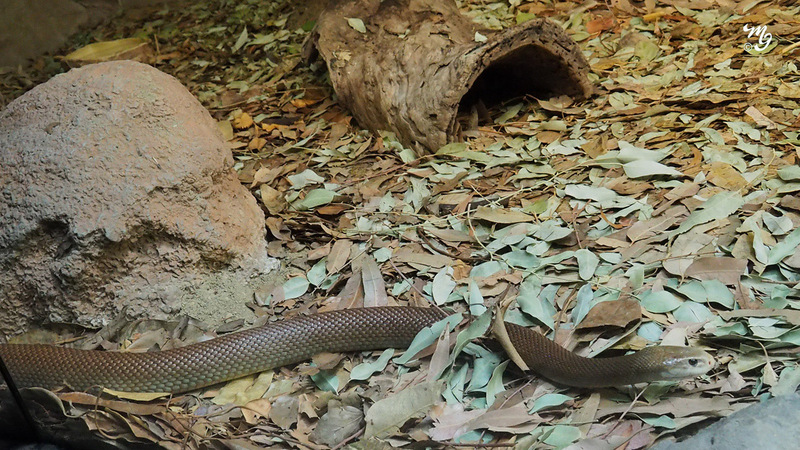 The Inland taipan is the most venomous snake in the world. According to Wikipedia it is estimated that one bite has enough lethality to kill at least 100 grown men. 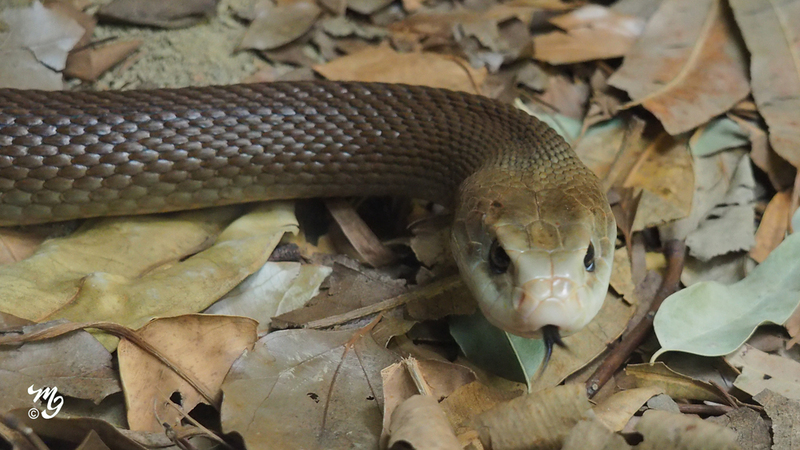 The Coastal taipan is slightly less venomous but more aggressive, which makes it more dangerous. The article is a fascinating read. I agree that there would be far more extinct animals without them. in good shape and well cared for, it was an enlightening experience. Very interesting read Mark. I wonder why inland Taipan has developed such a lethal venom when it's preys should be small mammals. It could probably kill an adult red kangaroo in one bite but could not possibly swallow it. Do the marsupials have greater resistance to it's venom than the placentals ? All the tests appear to have been done on mice and none on an equivalent sized marsupial which would have been its natural prey until very recent time. That's a very good question gautam. It appears that the reasons for the taipan's venom being so potent is unknown. It is known that its venom has evolved to be most lethal to its prey, namely warm blooded mammals. The following link offers some explanation but notes that there has been little research done on the reason for its high potency. An interesting read for sure Mark. Good that you found the read interesting, Wolf.